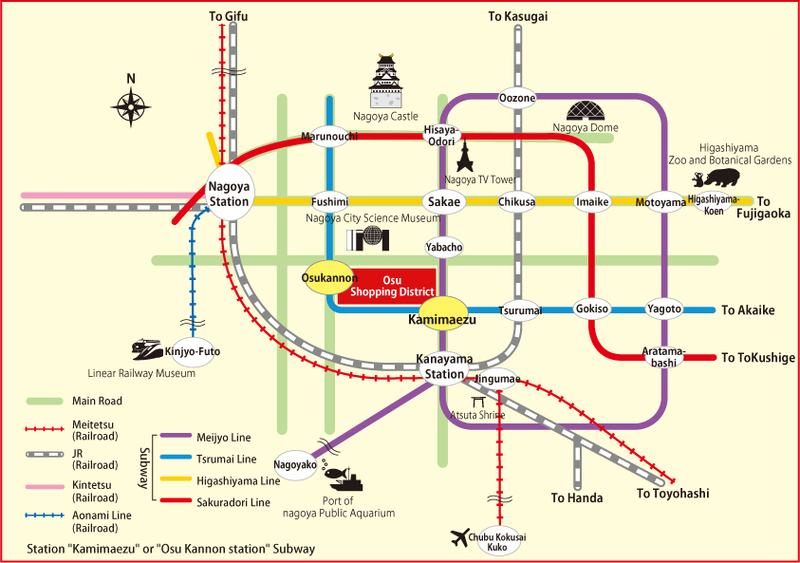 Osu is situated in the center of the city of Nagoya, Aichi Prefecture, and lies between two subway stations: Osu Kannon on the Tsurumai Line, and Kamimaezu on the Meijo Line. 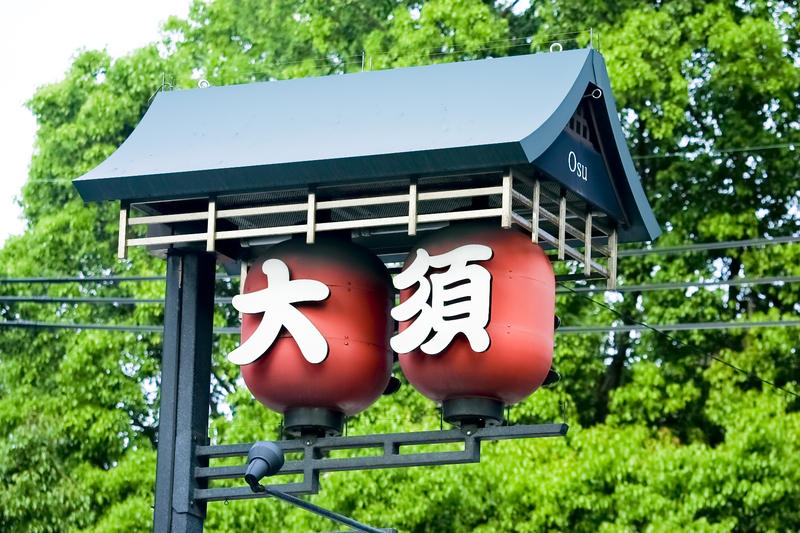 Osu is a 25-minute walk from Sakae, Nagoya’s business district. Osu lies between the subway stations of Osu Kannon and Kamimaezu. For convenient access to Osu, take the train from Central Japan International Airport (Centrair) to Kanayama Station (a 24-minute ride), then change lines and take the subway to Kamimaezu Station.